At our TLC Long Island Laser Eye Surgery Center, we believe that every patient deserves the time and attention it takes to feel 100% comfortable with their choice to have LASIK. 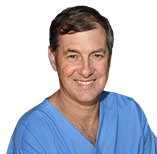 LASIK surgeon Dr. Eric Donnenfeld brings his extensive refractive surgery expertise to the TLC Long Island LASIK Center. Dr. Donnenfeld has performed over 70,000 procedures to date including over 2500 procedures on fellow doctors and their families. Patients travel from across New York State and the world to our leading TLC Garden City LASIK center for Custom LASIK and laser eye surgery procedures. Schedule a Free LASIK Consultation in Long Island today! Dr. Rory Bowman is a graduate of Suny College of Optometry and in the field for 15 years. Vision World is located on Hempstead Turnpike in Levittown in the Kohl's Center and offers high quality service and frame selection for every price point. Comprehensive eye care diagnosis and treatment. Dr. Kraushaar has been providing the highest quality for more than 25 years. Each eye exam is tailored precisely to your vision needs. The doctor understands the impact improved vision can have on the quality of life. Working with TLC Laser Eye Center we have co-managed many LASIK patients. Our office is located in the heart of beautiful Northport Village. We provide a thorough full scope primary eyecare in a caring private setting. Our eyecare boutique displays over 1400 fashion forward style of eyeglasses and sunwear. We have partnered with TLC co-managing many LASIK patients. 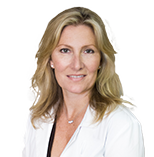 Dr. Michelle A. Battaglia - Capogna practices at Pearle Vision located in Manhasset. She performs comprehensive eye exams, pre- and post-op LASIK/PRK evaluations and her contact lens fitting specialty includes rigid gas permeable and soft contact lenses with astigmatism and multifocal designs. Dr. Neha Sheth, part of North Shore Optometric Group, practices in Manhasset and Smithtown, NY. Dr. Sheth graduated from SUNY College of Optometry in 2005, and has been in private practice since then. She enjoys working with patients of all ages, from the pediatric to geriatric population. OD: SUNY College of Optometry,1986 Clinical Instructor: SUNY College of Optometry, 1986-1992 Advanced Training Includes: Diagnosis & Treatment of Eye Diseases, Contact Lens fittings, LASIK Co-Management, Advanced eyeglass products & lenses. Dr Derco specializes in primary eye care for all ages, encompassing treatment of refractive and medical conditions of the eye. Contact lens fitting and sports vision are his main interests. Dr Derco enjoys his family, reading, golf and running. Dr. Elena Rosen is a graduate of SUNY Binghamton and holds her doctorate from SUNY College of Optometry. She specializes in hard to fit contact lenses, comprehensive eyecare, and treating eye disorders. She has been working in New York City for over 12 years. Dr. Aleksandra Wianecka wants patients to know there is a full-service optometry practice in Babylon Village. Her practice has specialized infant contact lenses, low vision therapy, adult and pediatric screenings and LASIK co-comanagement.